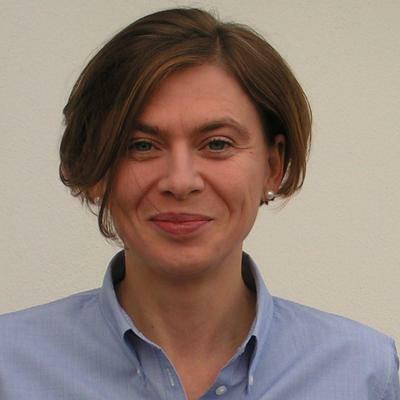 Dr Sigrid Kusch is a Visiting Research Fellow within Engineering and Physical Sciences at the University of Southampton. Dr Sigrid Kusch focuses on waste and resources management, and has a specific interest in valorisation of biogenic resources. She studied environmental engineering in Germany and France, and received her doctoral degree in 2007 after conducting both laboratory and applied research on anaerobic digestion with biogas production. Her experience stems primarily from positions with several academic institutions, and in addition from projects on a freelance basis. From 2011 to 2012, she held the temporary position of head of chair and substitute of the professorship for waste management at Technical University of Dresden. In 2014, Sigrid Kusch became contract professor for ‘Sustainable and Renewable Resources’ at the University of Padua. She is a member of the Bioenergy and Organic Resources Research Group at the University of Southampton since 2009. Dr Kusch is also a Future Earth Fellow, and works as expert for UNEP and the European Commission. She has published more than 80 scientific contributions, has served as guest editor for international journals, and frequently serves as reviewer for publications and research proposals. In 2013 she received the Best Reviewer Award of the Journal of the Air & Waste Management Association for a review of excellent quality, and in 2015 she was voted SAGE Excellent Reviewer by the editorial board of Waste Management and Research. Sigrid’s main research interests include waste and resources management, circular economy, anaerobic digestion, food waste, sustainable consumption and production. Kusch, S 2013, 'Food and bioenergy - reducing competitions and fostering synergies' Food Futures Young Scientists Networking Conference, Italy, 14/04/13 - 19/04/13. Kusch, S & Beggio, G 2015, Cooperatively owned renewable energy facilities - unlocking urban community power. in J Condie & AM Cooper (eds), Dialogues of Sustainable Urbanisation: Social Science Research and Transitions to Urban Contexts. University of Western Sydney, Sydney, AU, pp. 252-255. Kusch, S, Udenigwe, CC, Gottardo, M, Micolucci, F & Cavinato, C 2014, 'First- and second-generation valorisation of wastes and residues occuring in the food supply chain' Paper presented at VENICE 2014: 5th International Symposium on Energy from Biomass and Waste, Italy, 17/11/14 - 20/11/14. Kusch, S 2013, 'Food waste on the agenda - key factors to be considered' Paper presented at EIIC 2013 (The 2nd Electronic International Interdisciplinary Conference), 2/09/13 - 6/09/13. Kusch, S 2013, 'Food futures – reflections on the engineering theme waste management' Paper presented at 14th International Waste Management and Landfill Symposium, Italy, 1/09/13 - 4/10/13. Zhang, Y, Arnold, R, Paavola, T, Vaz, F, Neiva Correia, C, Cavinato, C, Kusch, S & Heaven, S 2013, 'Compositional analysis of food waste entering the source segregation stream in four European regions and implications for valorisation via anaerobic digestion' Paper presented at Sardinia 2013 14th International Waste Management and Landfill Symposium. S. Margherita di Pula (CA) Italy, Italy, 30/09/13 - 4/10/13. Kusch, S, Fleming, A, Cradock-Henry, N, Schmitz, N, Pereira, L, Vogt, J, Lim, M, Kharrazi, A, Evoh, CJ, Hamel, P, Bollmohr, S, Patterson, J, Adler, C, Waterlander, W, Sugiura, A, Augustyn, AM, Dogra, A, Mukherjee, N, Onzere, S, Mahomoodally, F, Hughes, AC, Bowen, K, Tironi, A, Smith, K, Hoffenson, S & Udenigwe, CC 2016, Sustainability in a changing world: integrating human health and wellbeing, urbanisation, and ecosystem services. Brief for GSDR, United Nations; Division for Sustainable Development, New York, US. van den Bosch, M, Dahl, A, Barthod, C, Flörke, M, Franck, U, Häuser, CL, Hills, C, Kirilenko, A, Kock, R, Kusch, S, Matschullat, J, Persson, L, Plesnik, J, Tronczyński, J, Urge-Vorsatz, D, Zdruli, P, Bernauer, T, Loewe, C, Özkaynak, B, Pintér, L, Cave, B, Nieuwenhuijsen, M, Armiento, G, Ashakeeva, G, Bell, S, Bergmann, L, Diolaiuti, GA, Dronin, N, Evrard, O, Gómez, JA, Gorobets, A, Grasso, M, Guérin, L, Idrisova, A, Jeftic, L, Klasinc, L, Loeschel, A, Makarova, A, Mangalagiu, D, Mzavanadze, N, Nicholas, K, Perelet, R, Roe, J, Padoa Schioppa, E, Senese, A, Sobek, A, Steinbacher, M, Stoyanova, N, Telenius, A, Vihervaara, P, Wetzel, FT, Zimmermann, F, Almássy, D, Rodriguez-Labajos, B, Gaponenko, N, Billot, M, Boileau, P, Dao, H, Leonova, E, Marques, T, Anarbekov, O, Barberio, G, Brauch, HG, Costello, M, Falconi, M, Frantzeskaki, N, Galgani, F, Gogalazde, K, Grenier, C, Grofova, R, Henocque, Y, Ivanov, M, Boza-Kiss, B, Krasilnikov, P, Kube, R, Masliukovska, O, Rastelli, V, Tripathi, N & Robins, N 2016, GEO-6 assessment for the pan-European region. Global Environment Outlook (GEO), United Nations Environment Programme (UNEP), United Nations Economic Commission for Europe (UNECE).